Curated by Attilia Fattori Franchini, BMW Open Work is a major new initiative, annually inviting an artist to develop a project exploring current and future technologies as tools for innovation and artistic experimentation. Enhancing the long-term partnership between BMW and Frieze, BMW Open Work will launch at Frieze London 2017 with a new multi-platform commission by New York-based artist Olivia Erlanger. Entitled Body Electric, Erlanger’s immersive work will unfold across physical spaces at the fair, as well as digital platforms. Frieze London will take place in The Regent’s Park from October 5 to 8, with a Preview Day on October 4. Body Electric conjures fictional tales inspired by science-fiction, economic flows and integrated design. Bringing together digital and sculptural elements, the artwork will be triggered by viewers moving between spaces and devices. Part of Erlanger’s immersive installation will occupy the BMW Lounge at Frieze London. Three motion-sensitive benches—the oldest industrial element placed in public contexts—will act as an audio device, inviting audiences to sit and listen to real and fictional testimonies about an ecological event. 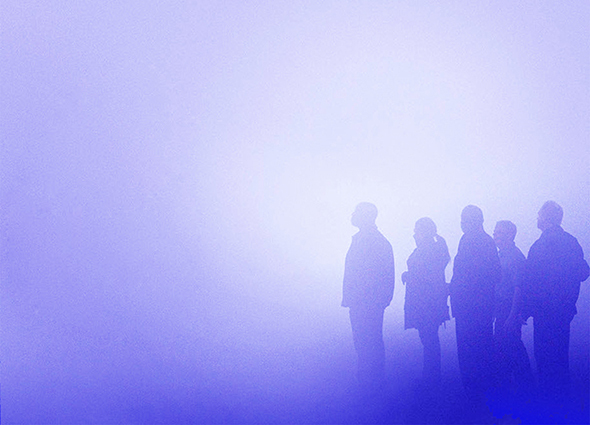 A thick mist of fog and blue light will create an immersive atmosphere of limited visibility, constantly changing in response to oil price variations. The second part of Body Electric will be experienced in the BMW Courtesy Car Service, where a selection of videos will visually extend the fictional testimonies. In addition, a new website body-openwork-electric.art will be the project’s final landing platform. Drawing inspiration from current and future technologies, Body Electric speculates on the changing relationship between humans and their environment, as an increasingly unpredictable natural world mediates and distorts our bodily experience. Curated by Attilia Fattori Franchini, BMW Open Work annually invites an artist to develop a visionary project that creates an immersive experience for the viewer. Drawing inspiration from BMW design and engineering, the commissioned artists will consider current and future technologies as tools for innovation and artistic experimentation. The initiative’s title Open Work is inspired by Umberto Eco’s literary essay “Opera Aperta” (1962) which proposes the idea that artworks are constituted in part by the public or by chance, and are therefore open to a wide range of interpretations. Olivia Erlanger (b.1990, New York, NY)is a sculptor based in New York City. Recent projects include, a. or fifty thousand at 83 Pitt St. New York, Dripping Tap at Mathew, New York and The Oily Actor at What Pipeline, Illinois. Recent group shows include Wormwood at Ellis King, Dublin, Eric Schmid is an Idiot, Cave, Illinois, Other People’s Things, Brown University, RI, Daydream from 2013, CANADA, NY. Erlanger was recently a fellow at IdeasCity 2017 in Arles, France and a visiting artist at Brown University in 2016. She co-authored Hate Suburbia with Luis Ortega Govela, the forthcoming second edition is with MIT Press due out in fall 2018. Forthcoming essay, “Born Goth” co-authored with Ortega Govela is included in Harvard Design Magazine’s Summer 2017 issue and the two are currently directing a documentary. Further information at oliviaerlanger.com.